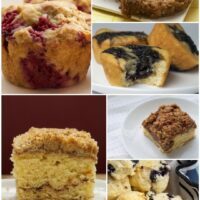 I love recipes that take a well-known, well-loved baked good and present it in an entirely different way. 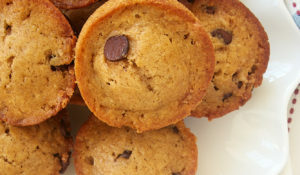 I also love baked goods that are just as good for breakfast as they are for dessert. So, you can imagine that this Cinnamon Roll Cake makes me very happy. The cake itself is a lovely yellow cake made with one of my favorite cake ingredients – sour cream. A little cinnamon sugar gets partially mixed into that delicious cake. 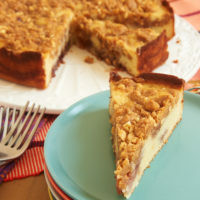 Then, the cake is layered with a combination of brown sugar, cinnamon, and pecans. To top it all off, a sweet vanilla glaze goes on top of the baked cake. You get all the flavors of a good cinnamon roll with far less effort. You see, I also love simple recipes that produce a fabulous result. This is the rare recipe that gets the great trifecta for me – a twist on traditional, an anytime treat, and a quick and easy recipe! 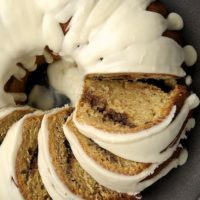 Visit the Recipe Index for more Bundt cake recipes! 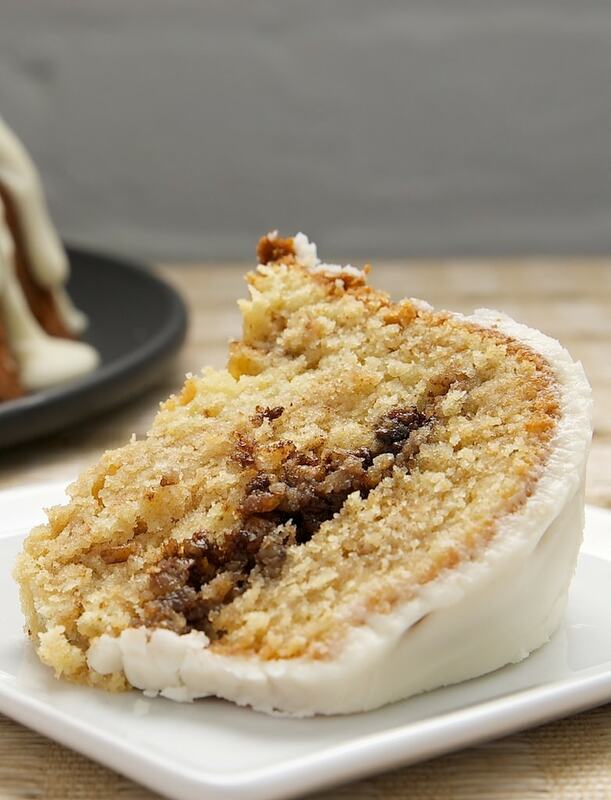 Cinnamon Roll Cake takes all the flavors you love in cinnamon rolls and puts them into a delicious cake! 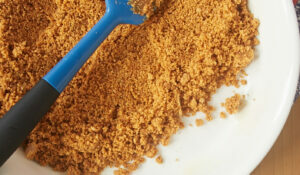 In a large mixing bowl, whisk together the flour, 1 cup sugar, baking powder, salt, and pudding mix. Add the butter, oil, eggs, vanilla, and sour cream. Mix well. The dough will be thick. In a separate bowl, mix 1/4 cup sugar and cinnamon. Gently fold into the cake batter. Do not mix thoroughly, but leave swirls of cinnamon sugar in the batter. Transfer half of the cake batter to the prepared pan. Mix the brown sugar, cinnamon, and pecans. Sprinkle over the batter in the pan. Scoop the remaining cake batter over the filling and smooth the top. Bake 45-50 minutes, or until a pick inserted into the center comes out clean. Cool in the pan on a wire rack for 20 minutes. Then, flip the cake onto a wire rack to cool completely. Mix the confectioners’ sugar, 3 tablespoons of cream, and vanilla until smooth. Add more cream as needed to make glaze pourable. Drizzle the glaze over cake. 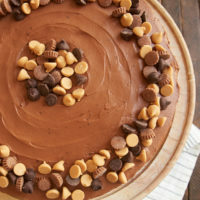 I can’t find the actual cake recipe (which looks delicious!) help? Hi, Amanda. As soon as I posted this, I realized I never finished adding the actual recipe. It’s there now. Sorry for the brain freeze! I do love cinnamon rolls but struggle with yeast dough anxiety. This cake will be the best solution. That cake looks AMAZING. I have been pulling out my bundt pan a lot lately for making cakes, and this looks like a great next candidate! Mmm I too love new takes on traditional things. Especially when they look this good! Oh my…what a feast for my eyes. 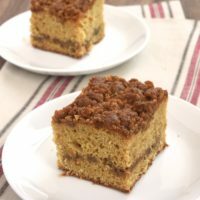 That moist cake, cinnamon-pecan sugar middle and luscious glaze! I gotta have some of this! What a lovely moist and delicious cake!!! Gotta try this! I think my family would love this recipe, thanks for sharing! There is nothing better then smelling cinnamon baking yummmm, thanks for sharing! It tastes best heated up with a little butter melted on it. Yum!! Adore the cinnamon roll cake recipe! My mother is coming from Maine, so will use it this week! 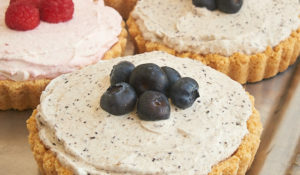 Thank you for your kind words about our Cabot Creamery Cooperative at the Bake and Blog!! This sounds great. Will try it this weekend. I’d also like to win the digital subscription to KAF. That swirl in the center has me giddy! Hi, Kat! Vanilla pudding mix is a dry mix used to make instant pudding. I’ve never made a substitute for it, but I’ll see what I can find and email you. That is one delicious looking cake for sure. I think it’s time to dust off the Bundt pan! To clarify, the butter is softened and not melted, right? Will make this weekend. One of my favorite cafes here in Santa Fe makes one and I ALWAYS have to have a piece! Hi, Emily. Yes, the butter is softened. 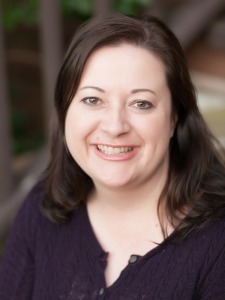 Hi, Beth! You should see a big box at the end of the post where you can enter. Click on it where it says, “Answer a Question” and follow the directions from there. I enjoy making cinnamon rolls but this sounds like a fun variation! What a great idea. I’m also not good about working with yeast so something like this takes that hurdle out 🙂 Looks delicious. 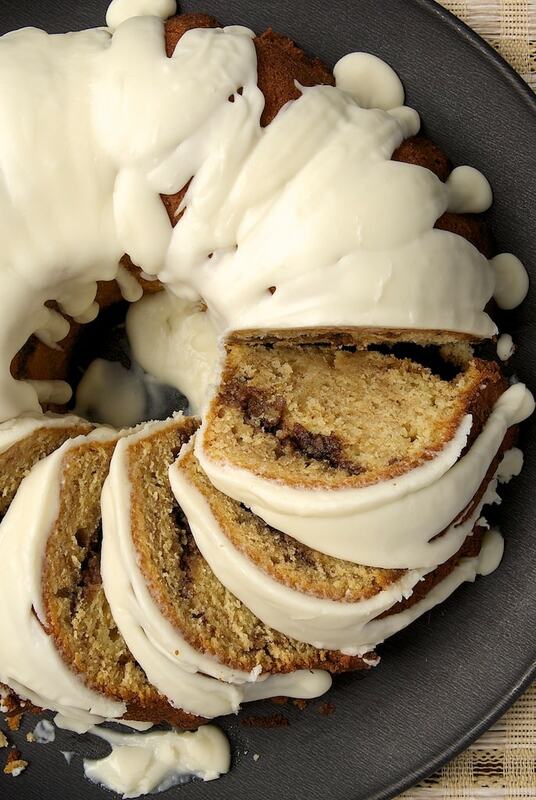 This is the bundt cake of my dreams. 🙂 I love cinnamon rolls but they are way too time consuming. 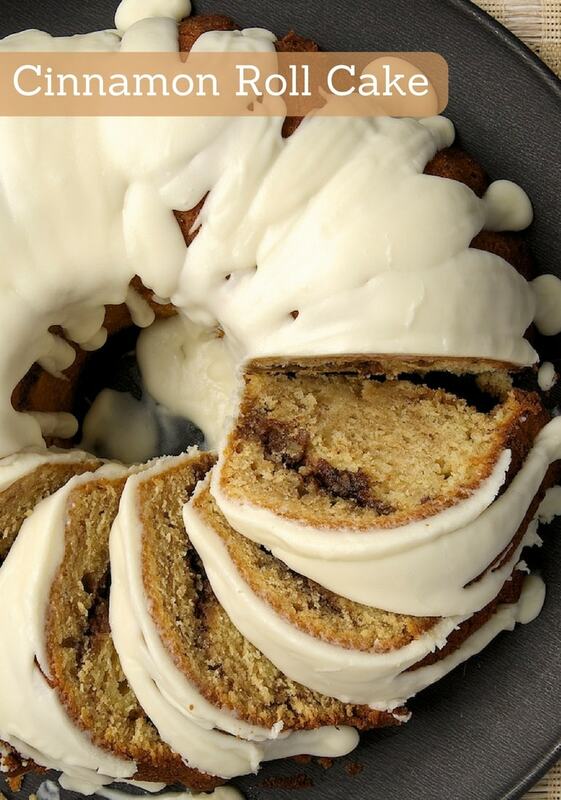 To have all that cinnamon roll flavor in a cake is perfect! Thank you! My family absolutely will love this! Pecan’s are a big hit. Serve this warm and voila, enjoy :). Which is the better oil to use, Vegetable or Canola? Would a coconut oil work? Hi, Cheryl! I used canola oil because that’s what I normally have on-hand. I have never used coconut oil, so I can’t really offer any advice on that. If you try it, please let me know how it works! Looks great! I wonder if a cream cheese glaze would be good? I love that with cinnamon rolls, so it seems like a good fit! Sarah, I could definitely get behind a cream cheese glaze. In fact, next time I make this, I may have to do that! These look great! I can’t wait to try to make them. I love cinnamon rolls. would love to enter the KAF contest for the app. Just made this and by accident left out the oil — it is still moist and absolutely delicious (must be the pudding)! I reduced the sugar in the cake to 3/4 cup as well. With the glaze, it is plenty sweet. Really a great recipe! Thank you for posting! Did I understand correctly – no need to use a stand mixer? Hi, Hannah! You don’t necessarily have to use a hand mixer or stand mixer. The cake batter is a bit thick, so a little electric mixing help may be welcomed. I made this cake for my boyfriend’s birthday. I got to use my homemade vanilla extract (Four vanilla beans from Fresh Market split and scraped into a mason jar with a half pint of Skyy vodka, aged since March.) It was so easy and he keeps raving about it! Every day he comes home from work and eats a piece! Thank you for the great recipe. This popped up in my Facebook feed. I thought I’d give it a try despite not being able to get pudding mix in New Zealand and sed a local version of instant dessert mix instead. My cake ended up more yellow looking and the glaze also had a yellowy tinge (probably due to NZ cream) but the flavour was amazing. It received rave reviews from my American friend who said it tasted just like a cinnamon roll. Imagine that! Thanks for a delicious recipe. I’m so glad you were able to make it work for you! Jennifer, looking forward to making this. I’m thinking I may use my stand mixer. Did you use a mixer or do by hand? Thanks! I used a hand mixer to mix the batter. So glad you liked it, Stacey! Can’t wait to finally try this! Just wondering, what do you use to grease the pan? I usually use a cooking spray with flour, like Baker’s Joy or Pam for Baking. This looks amazing! I’ve made several of your recipes in the past couple years, and they’ve all been delicious. I’m really enjoying your website! 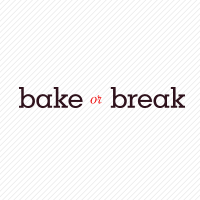 It’s a go to when I need inspiration for something to bake! Don’r have a bundt pan, can I use a tube pan instead, and would the bake time be the same? Thanks so much, can’t wait to hear from you. As long as it has the same volume capacity, it should be okay. It may not bake exactly the same, but it will likely be very similar. 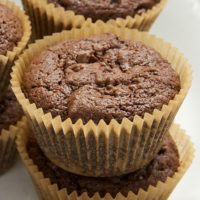 Would it be possible to mix this up the night before and then bake in the morning? Hi, Ann. I wouldn’t recommend it. The cake will keep for a few days in a sealed container, so it should still be plenty fresh the day after baking. In your recipe, you mention 13 ounces of vanilla instant pouding! Hi, Pauline. The recipe lists 1 (one) 3-ounce package, not 13 ounces. I think there will be too much batter for a 9″x 9″ pan. Ideally, I’d use a Bundt pan, but it might translate to a 9″x 13″. I’ve not tried making it that way, so I can’t offer any firsthand advice. This is lovely Jennifer. I’m impressed that there’s no need of stand mixer. Once more, thank you so much. I think I will try this for my women’s group! May use maple extract instead of vanilla as I love maple glazes cinnamon rolls! Thank you for the recipe! Hi, Laurie. There’s no standard for how much salt is in salted butter, so using unsalted butter allows you to control the amount of salt in a recipe. I made this Sunday morning for Father’s Day. Thanks to my daughter’s friends, it was gone Sunday night! Fabulous. The texture is just like a cinnamon roll. They want me to make it again, and I will! Hi, Louann. I’m so glad to hear the cake was such a success! Such a lovely cake. I did reduce the sugar in the cake mixture as I don’t have a very sweet tooth and in the UK I couldn’t get pudding mix so used Angel delight and could only get that in butterscotch flavour. None of changes ruined the cake, it was absolutely delicious. Can’t wait to try more of your recipes.